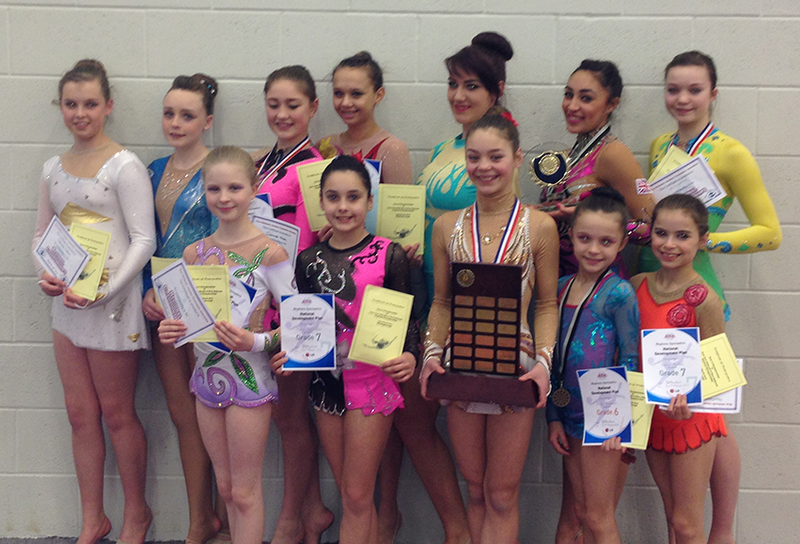 Congratulations to the City of Birmingham Rhythmic squad who produced outstanding performances and came out top at the recently held West Midlands; Zone(West Mids, East Mids & East region) and National Development Plan Championships. 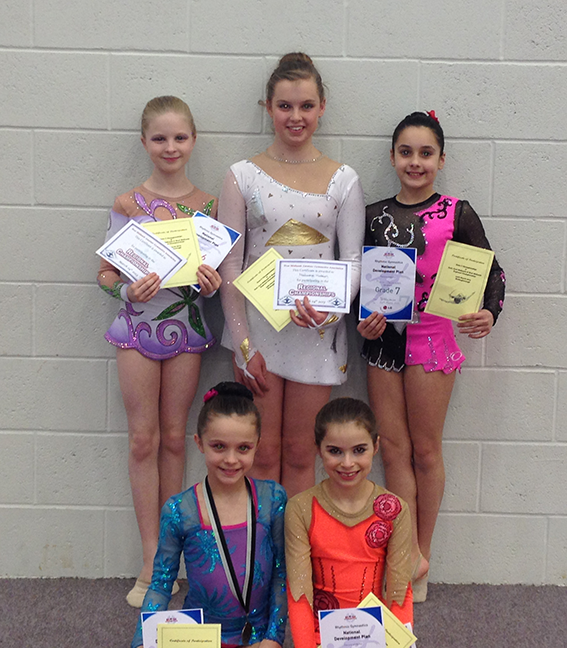 The events were held at Weavers School, Wellingborough on Sunday 24th March. 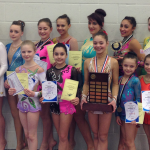 The competition format was such that three championship titles were being contended for in the one competition. 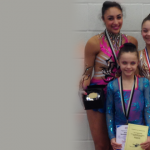 Despite the venue being freezing, ceiling too low, several apparatus hitting the roof, and a 12 hours competition; success was gained for all city of Birmingham gymnasts. 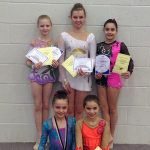 The NDP Grades: all girls passed qualification mark and will compete at the national finals in May – Congratulations Emily, Kaela, Sophie, Maria, Eleanor, Connie and Sharna. 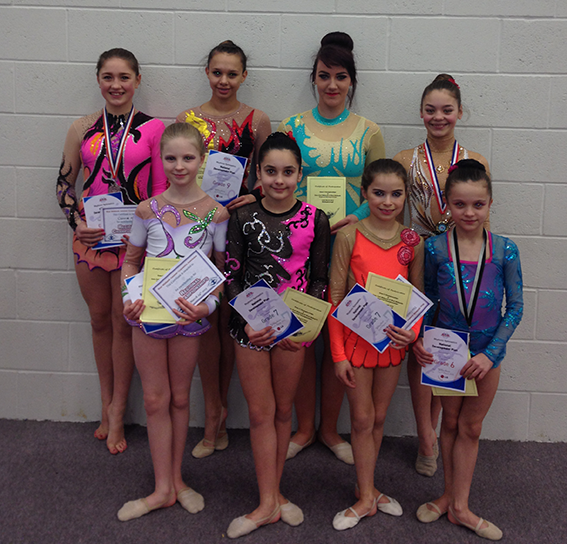 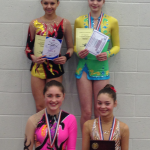 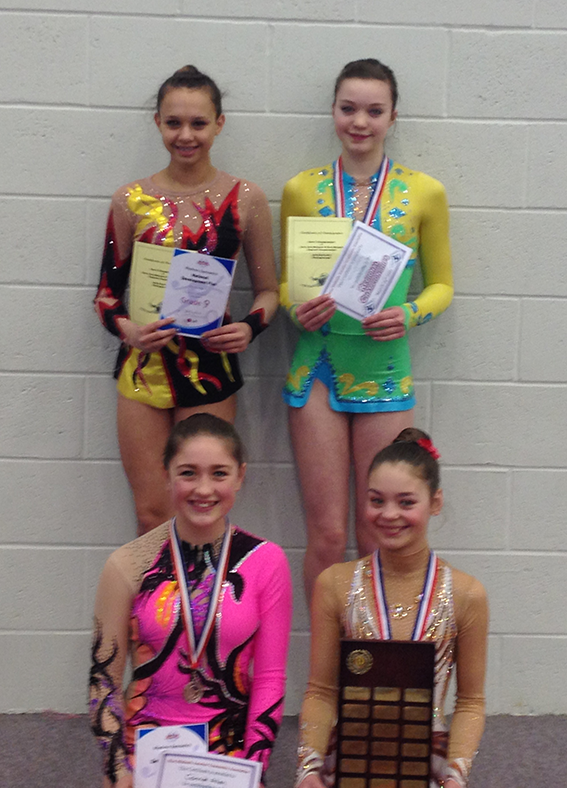 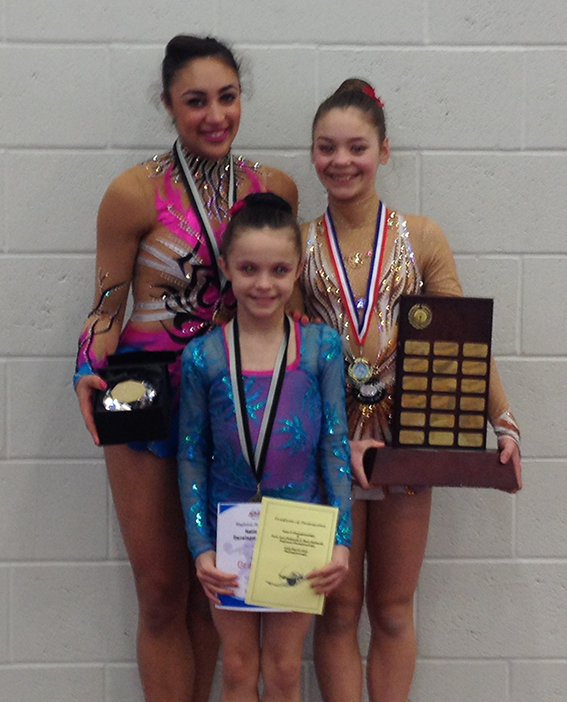 The West Midlands Championships: the most impressive results for the girls were in this event where in the Juniors 1st, 2nd & 3rd place where taken by Shania, Connie & Jessica, respectively, and 1st place in the Seniors by Mimi Cesar. 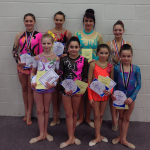 In the Under 11’s championships Silver medal place went to Emily. 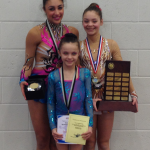 The Zone Championships: well done to Mimi and Shania who took Gold medal places, respectively in the Senior and Junior championships and to Emily who took overall Bronze Medal position in the Under 11’s championships.